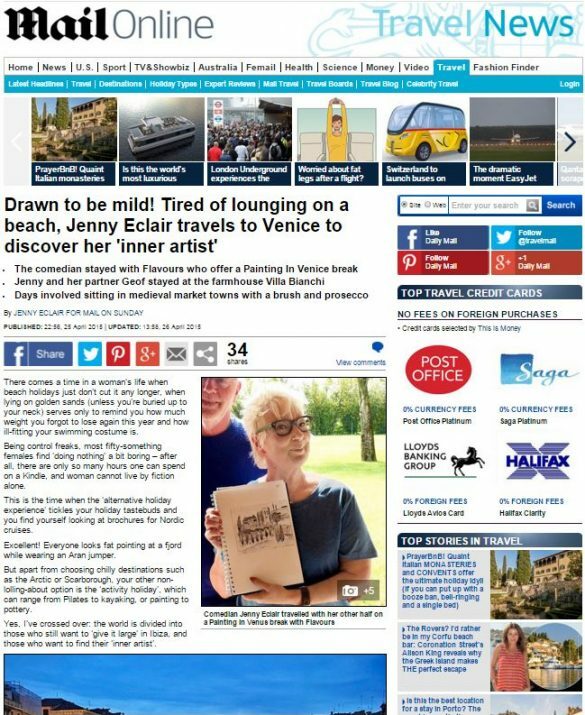 We were absolutely delighted when comedian Jenny Eclair joined us on one of our painting holidays in Venice. She and her partner Geof stayed at our gorgeous Villa Bianchi and enjoyed a week of watercolour painting in medieval market towns with a brush and glass of Prosecco. Want to find our more about our painting holidays in Italy? Then get your copy of our 2016 brochure!